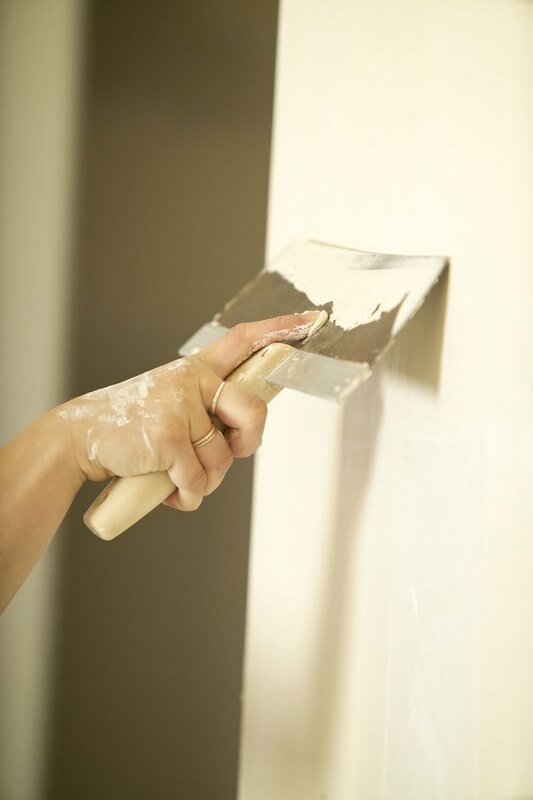 Spackle is a compound used to repair holes in plaster or wood walls and drywall. It is a type of putty, typically lightweight and easy to use. However, sometimes bubbles can appear underneath Spackle, if it is applied too thickly or if the elements have had an adverse effect. Get rid of bubbles and smooth out your Spackle. Pop the air bubble gently using a straight pin or the edge of a putty knife. Sand excess Spackle away with sandpaper. Wipe debris away with a clean cloth. Apply more Spackle, if necessary. The air bubble could have left an open hole. Brush primer over the spackled area to cover the Spackle and allow the paint to better adhere. Paint the area to camouflage the repair and match it to the rest of the wall.